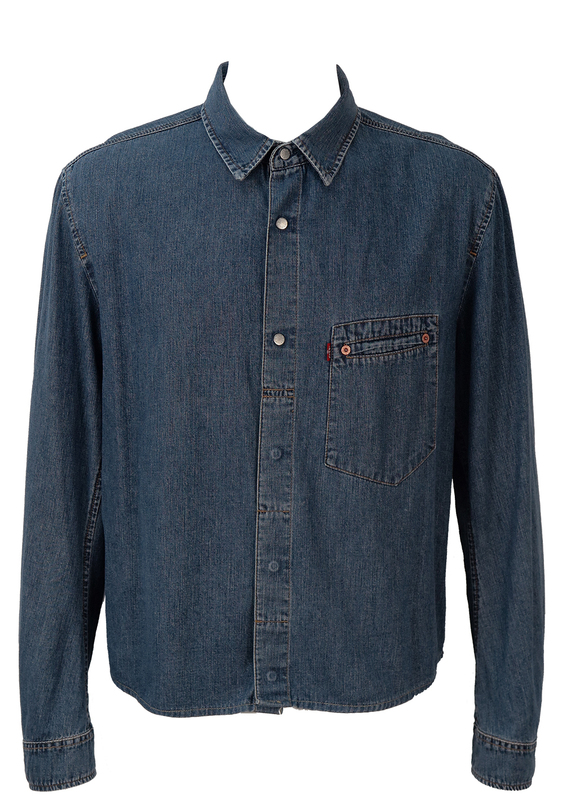 Levis ‘Red Tab’ mid blue denim shirt. Design features include partially concealed buttons and an angled seam pocket. The sizing label states an L for a casual cut. 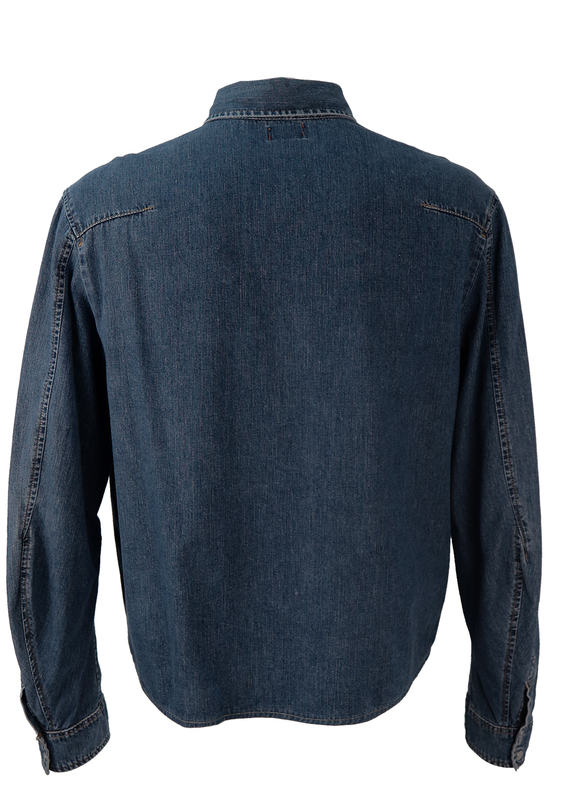 We have also sized the shirt as a possible XL for a slightly more fitted look. Please refer to our measurements for further sizing guidance.